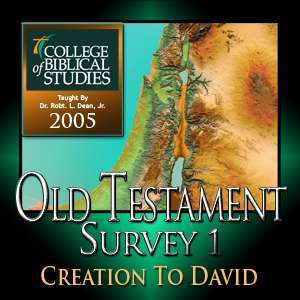 Dr. Dean taught Old Testament Survey I: Creation to David - at the College of Biblical Studies in Houston, TX. These lessons are from previous semesters. The recording equipment is not the same equipment used at West Houston Bible Church, thus the quality will not be the same. Lecture 12b. Note: Due to technical reasons the 2nd hour can not be posted.